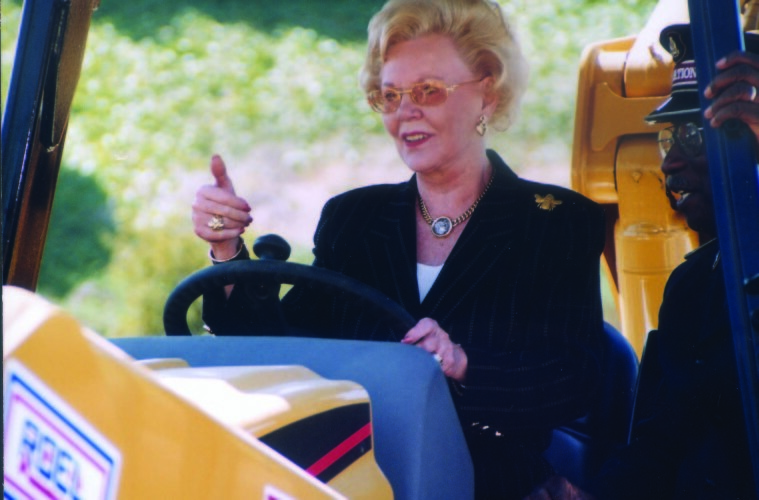 Joan Kroc believed in strength, especially strength of character. In the initial discussions for what would become the first Kroc Center, she told the team that she had built self-confidence by ice-skating, and her friend by swimming. She wanted the Kroc Centers to be filled with amenities that would assist people—especially children—in building self-confidence and character through sports, the arts or education. Throughout the process, she also insisted that The Salvation Army think bigger, and believe in itself. As the widow of the founder of Mc Donald’s Corp., Joan Kroc was clearly wealthy, but this billionaire had a heart for using wealth to help others. When she anonymously made a financial gift to every member of a flood-ravaged community in the Midwest, but was discovered, she came to be known as the stealth philanthropist. We learn more about Kroc’s relationship with The Salvation Army through Commissioner Don Bell, who was the chief secretary in the Western Territory at the time of and leading up to her $1.5 billion donation—the largest ever to a charitable organization. “Joan was deeply compassionate, and deeply concerned with the welfare and success of others,” Bell writes. The Army is keenly aware of its responsibility in implementing her gift, and developed the Youth Asset Development initiative to recognize, tap into and nurture youth potential. The initiative measures specific outcomes that allow the Army to track how well the Kroc Centers are doing at building relationships and strength of character. We know this development of youth is critical, especially if 80 percent of life’s most significant events take place by age 35, making the 20s a “developmental sweet spot,” according to a recent Forbes interview with a clinical psychologist who specializes in adult development. It’s exciting to think of the potential for individual and social change that developing strengths in thousands of kids in 27 Kroc Centers across the country offers. Joan Kroc, the stealth philanthropist, may have started a phenomenon for positivity, for cultivating virtue. Perhaps in 20 years we’ll read a report on how the Kroc Centers changed the country for the better. Whether it be over a billion dollars or just a few to a man digging through the trash at the airport, as Kroc’s granddaughter Amanda Latimer shares, Joan Kroc was known for giving. But here’s the main takeaway: You don’t have to be a billionaire like Joan Kroc to give and to do good.